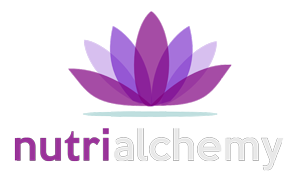 For over 50 years chelation therapy has served as a highly effective and safe intravenous treatment for the elimination of toxic heavy metals and improvement of circulation and health. Since 1994, our medical director has witnessed this improvement in over 4,000 patients using Disodium-Mg EDTA Chelation Therapy for arteriosclerosis, heavy metal toxicity, memory problems, heart disease, fatigue, circulation problems and more. It has helped restore healthy function and quality of life to our patients, many of whom have been able to prevent the need for painful and costly surgeries or to rely on prescription medications. This therapy has now been proven to be clinically significant and safe by the 8-year, $30 million government-funded national study called Trial to Assess Chelation Therapy . We have recorded many written and testimonials to the power of chelation therapy! Atherosclerosis — the narrowing and stiffening of arteries due to the accumulation of pathologic calcium and plaque — is a primary cause of diminished circulation and oxygen to our cells. EDTA chelation therapy is a cost-effective method for avoiding surgery, enhancing the health of the arteries, removing pathologic calcium, improving elasticity, and thus improving circulation. Chelation involves the intravenous administration of a synthetic amino acid called EDTA (ethylene diamine tetra-acetic acid). EDTA (in a complex with magnesium, vitamin C and other nutrients) enters the bloodstream by the intravenous route and binds to heavy metals such as lead, iron and cadmium that can cause free-radical damage and calcium deposits in the arteries, and carries them harmlessly out of the body through the urine.